Ask anyone in Aberlady - even the 'old timers' - where the village library used to be and it is very doubtful if anyone will be able to tell you. 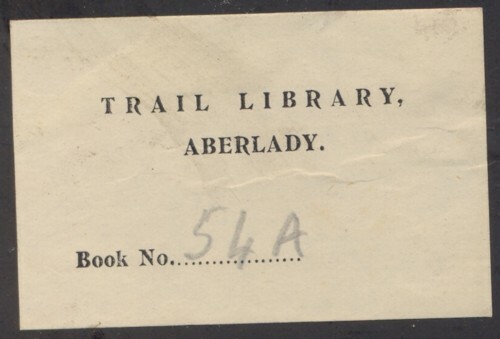 Aberlady did have a library, at the East end of the village. But where exactly was it? 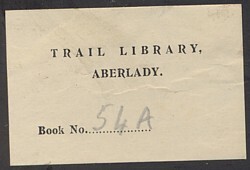 East Lothian Library Service provided much of the information on this page but the only physical evidence they could find for the existence of Aberlady library is a Trail Library label ( see pic. ) which was attached to a book cover ( what the book was they are not sure ). 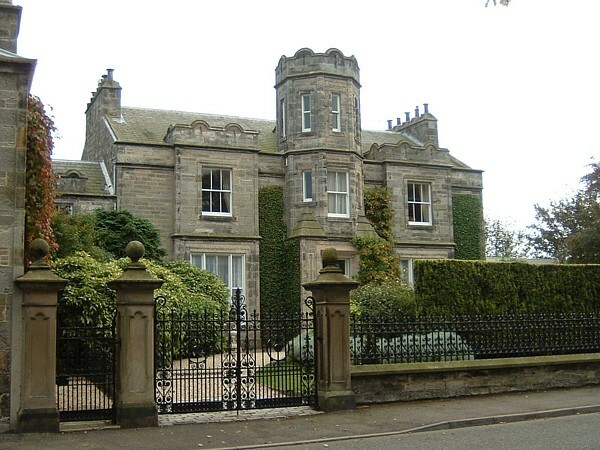 The Lodge - which is opposite the former Church Manse is listed in the 1881 Census when 2 sisters Jane and Anne Trail are both living there.Jane is a pensioner, 80 years old, born in Maryton, Forfar. 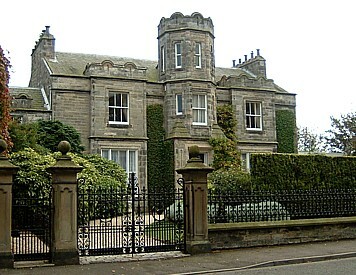 Her sister Anne, also a pensioner, aged 74, was born in Montrose and they had 3 servants living in. Anne died in 1887 and there was a piece in the Haddingtonshire Courier ( HC ) about the funeral. The floral tributes included a floral cross from the Countess of Wemyss. Local school children walking in the procession, formed the first part of the funeral cortege and took up a position beside the grave. The children sang the first 4 verses of the 66th Paraphrase, which was one of her favourite hymns. The chief mourner was Mr Thomas Trail, Broughty Ferry, a cousin. Considerable sums had been bequeathed by her and her sister Miss Jane Trail, who died earlier ( 23/1/1883; but there was no obituary in the HC ) to religious, charitable and educational institutions. The old Reading Room is mentioned in the 1891 Census for Aberlady: 48 'House over Reading Room', Main Street occupied by George Brown (40) Sergeant Instructor (1 Rifle volunteers) and his family. We are greatful to East Lothian Library Service for help with this article. Please tell your friends about The Aberlady Pages ( aberlady.net ) web site . Everything on this site including all photographs is Copyright © Mike Carey unless otherwise stated.